Wow! 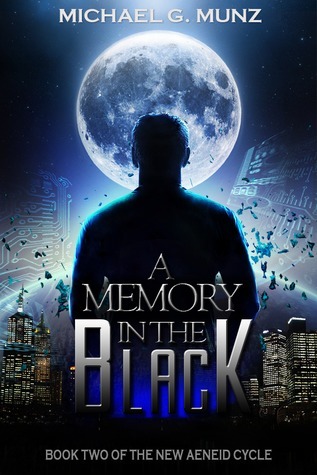 A Memory in the Black was so good! I was very impressed with how all the pieces from book one started to fit together. I could see the puzzle start to form as each piece came together. Some of the characters that I didn't like in book one I found myself liking in book two. That is magical all by itself to get me to change my mind about someone. You got to know more about Diomedes which was great. Since in book one you didn't really get any background about him at all. Now that I know how he works it makes him a little more like-able. He's still a jerk at times but who isn't? Felix is still my number one guy in this series. With his witty, sarcastic lines how can anyone not like him? He's still great and was still very important to the series. It's one of those "if he goes, I will riot" type of situation for me. Michael has become a close second favorite! He's smarter than I gave him credit for in book one. I'm still trying to get used to all of the technology stuff. I'm not a techie- which means I don't know how anything works. So it takes me longer to understand techie talk but I eventually get there. The alien space craft on the moon was brought to light. Which brought up some questions. Thankfully a lot of my previous questions got answered, I still have some that I feel will get answered in book three.